Join us for Educators’ Appreciation Day on October 20. All teachers, afterschool professionals, and their families (up to four people total with teacher ID) will receive free Mystic Seaport admission! 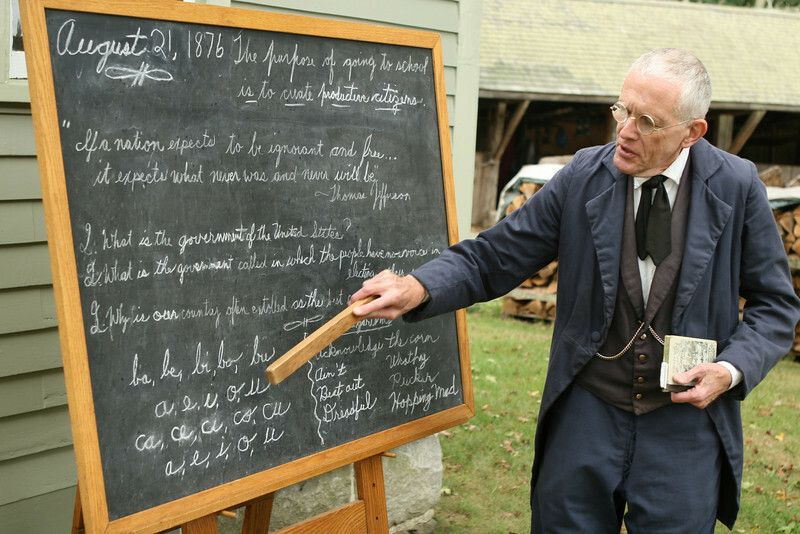 Mystic Seaport is an experiential education facility where students participate in hands-on history and science in a vibrant setting. Founded in 1929, the Museum includes a recreated 19th-century seafaring village, historic vessels and small boats, exhibit galleries, a Planetarium, and one of the world’s largest collections of maritime artifacts. We offer unparalleled opportunities for students to climb aboard historic vessels, interact with costumed roleplayers from 1876, learn about the stars in the sky, and explore coastal life and trades. Educators can choose from a variety of educational programming, including self-guided exploration, guided tours with hands-on activities, planetarium shows, roleplayer and chantey programs, horse-drawn carriage rides, overnight programs, in-school and virtual programs, and primary source workshops. We have worked with educators and students for more than 60 years to provide an exceptional experience tailored to the needs of their curriculum. Our educational programs emphasize authentic, hands-on, relevant learning in which students are active and collaborative participants in their education. Registration for Educators Appreciation Day will take place at the North Entrance in the new Thompson Exhibition Building. On the day of the event, please park in the North parking lot across from Latitude 41° Restaurant & Tavern and enter through the Thompson Building. The Education Information Center will also be located in that building.